Selma Ratzlaff, age 86 years, of Waldheim, Saskatchewan, went home to be with her Saviour July 22, 2018. She is survived by her nine children and their families, Diana (John) Buhler, Robin Ratzlaff, Stuart Bruce (Kathy) Ratzlaff, Sherry (Ron) Williams, Grant (Valerie) Ratzlaff, Mark (Nancy) Ratzlaff, Faith (Chris) Adams, Ivy (Carey) Dirks and Lee (DeAnn) Ratzlaff; 1 sister, and 1 brother. She was predeceased by her husband Lorne Ratzlaff in 2006. 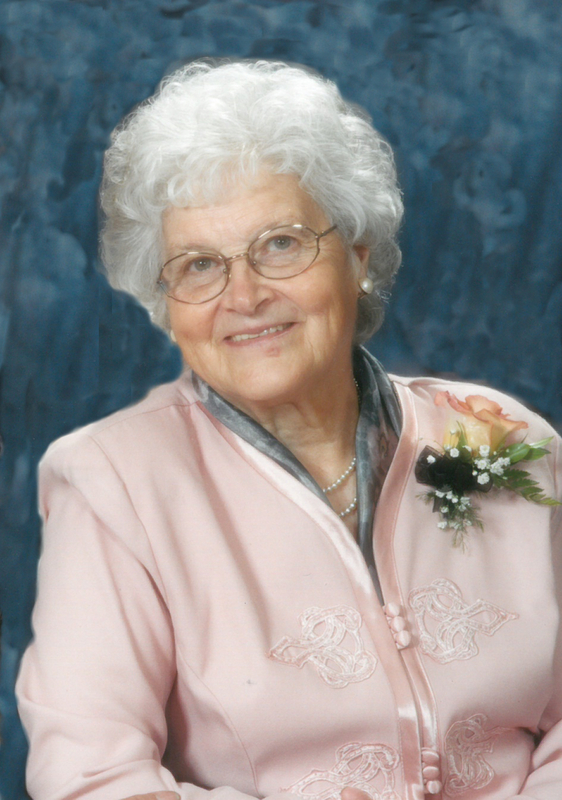 The Celebration of her life will be held Friday, July 27, 2018, at 2:00 P.M. in the Zoar Mennonite Church, Waldheim, SK with Pastor Ben Pauls officiating. Interment will take place at Waldheim Cemetery. Arrangements are in the care of Funk’s Funeral Home, Rosthern (232-5245). So sorry to hear of your mom’s passing! I always enjoyed the visits her and I had. She will be missed, may you take to heart all the wonderful memories while she lived here on earth! Sorry to hear about your mom. She was a dedicated wife & mother. Also hard working & always interested in what others were doing in our lives. When my sister-in-law Mary came to visit your mom they both came down to Shekinah to have coffee with me we laughed so hard & had a good visit. I will really miss her. She loved the Lord & served him.